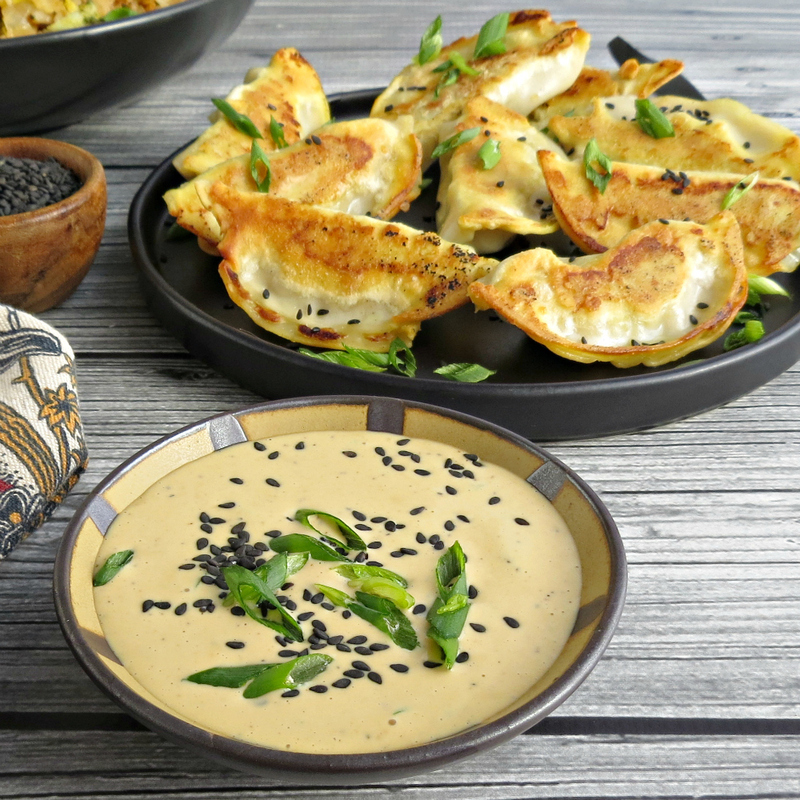 You’ll want to make this Creamy Soy Ginger Dipping Sauce sauce on repeat and eat it all the things! Is there anything more satisfying than slam-dunking a potsticker into a delicious sauce and shoving the whole thing in your mouth? 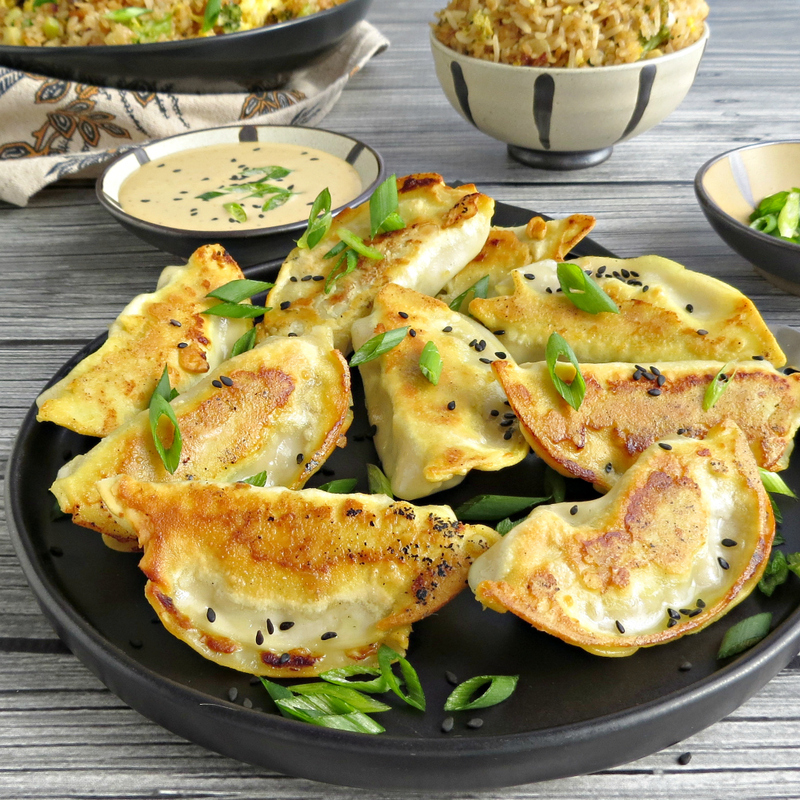 I think not, and these crispy dumplings with my creamy soy ginger dipping sauce are a family favorite! When it comes to making homemade potstickers, I’ll pass. I’ve made them, and it’s a tedious, time-consuming process. Why put yourself through that when Ling Ling has your back?! 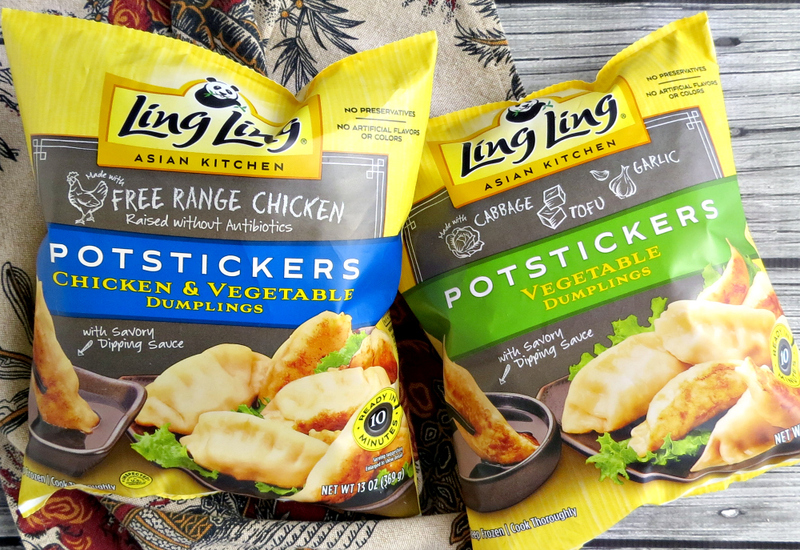 I’ve been buying Ling Ling products for quite some time, and their potstickers are as good as any I’ve had out. They’re easy to make, affordable, and come in several different varieties. The ingredients are clean and recognizable, something that y’all know is very important to me. You can find them in the frozen section at most grocery stores. You can serve potstickers on their own, in a soup, or on top of a bed of sauteed cabbage and veggies. I prefer to crisp them up a little for added texture, but some people like them gently steamed. They’re great both ways, and there are directions for both right on the package! You can’t have potstickers without a fantastic sauce. 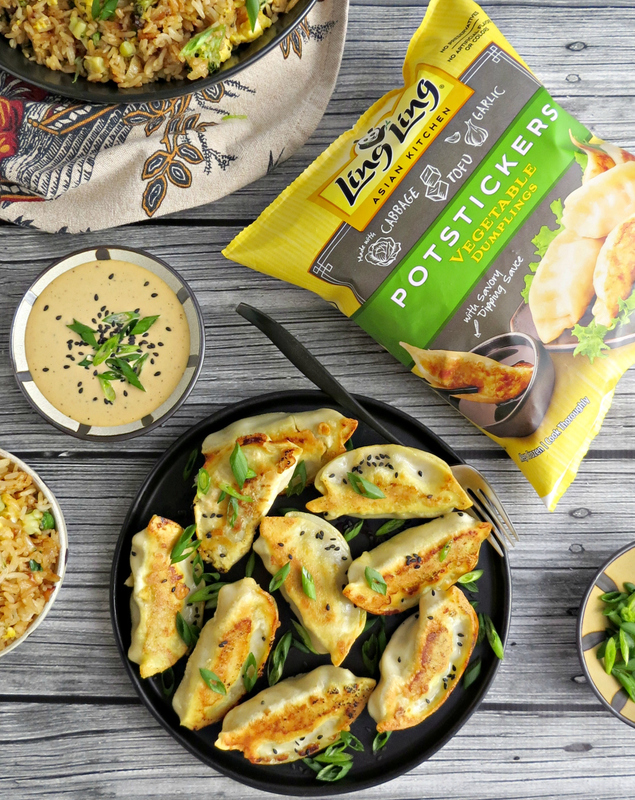 Dumplings are a huge part of the Chinese New Year because they’re shaped like the full moon, which symbolizes family and perfection, so pick up some Ling Ling Potstickers and whip up my delicious sauce to go with them! Each year, the Chinese new year is celebrated with a festival simply called Chinese New Year or Spring Festival by some. There is no set date, as it changes each year and can be anywhere from January 31st through February 20th. In 2019, the Chinese New Year falls on February 5th. Over 20% of the population celebrates, and it is an extremely important holiday to Chinese people all over the world. The festivities include food, parties, parades, and more! This recipe couldn’t be easier! Cook the dumplings according to the directions on the package, and whip up the sauce while they cook! Seriously! So easy! Check out the Ling Ling website for more varieties! You'll want to make this Creamy Soy Ginger Sauce sauce on repeat and eat it all the things! There was enough salt in the tamari for me, but feel free to add more. If you want it spicier, add more red pepper flakes or sriracha.